Miki the meerkat is happy to hear a new family is moving in next door at the zoo and he will soon have a new friend named Raffa that is just like him! Only, Raffa isn’t like him at all. Raffa is a tall giraffe and she and Miki find it hard to see any similarities. They are both just so different. When Miki can’t get to sleep, he waits for his mom to doze off before climbing out of his burrow to look at the moon. As he climbs out, Miki sees that Raffa is already out there. Raffa also can’t sleep and also enjoys looking at the moon. Some of Miki and Raffa’s similarities quickly become apparent as lightning flashes, thunder booms, and they are both scared. 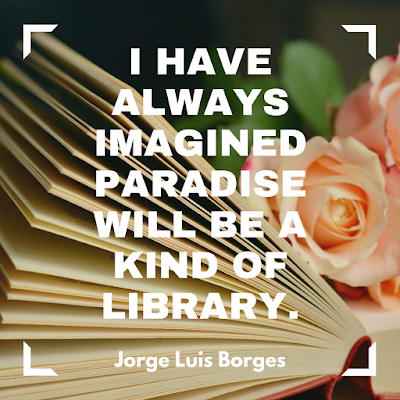 Both come away from the experience realizing that they do have a lot in common. 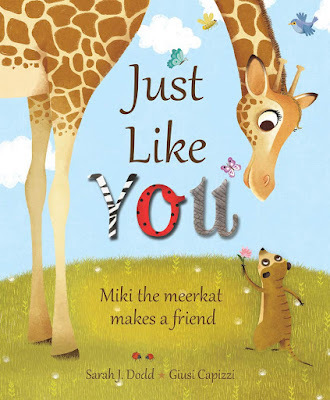 Just Like You is a cute picture book with an important message given in a friendly way: while we all have differences (and some can be very apparent like our height), we also have many similarities. We don’t have to be exactly the same to be friends, and sometimes our differences help our friends experiences things in a new way. If you’re interested in reading Just Like You, you can purchase a copy here on Amazon. If boys aren’t made of frogs and snails and puppy dog tails and girls aren’t made of sugar and spice and everything nice, then what are they made of? A grandfather’s ponderings about what his grandchildren are made of are paired with fun illustrations to create a playful take on an old saying. 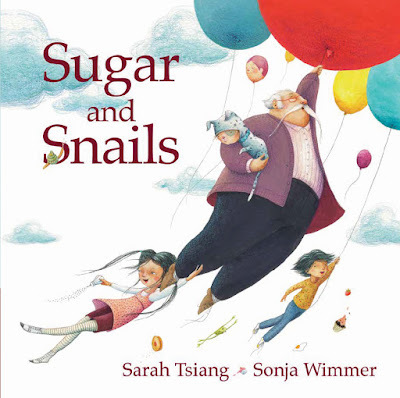 Sugar and Snails hits the theme of individuality and not being forced into a box. Why be made of sugar and spice and everything nice when you could be made of monkeys and dirt and lemon dessert? 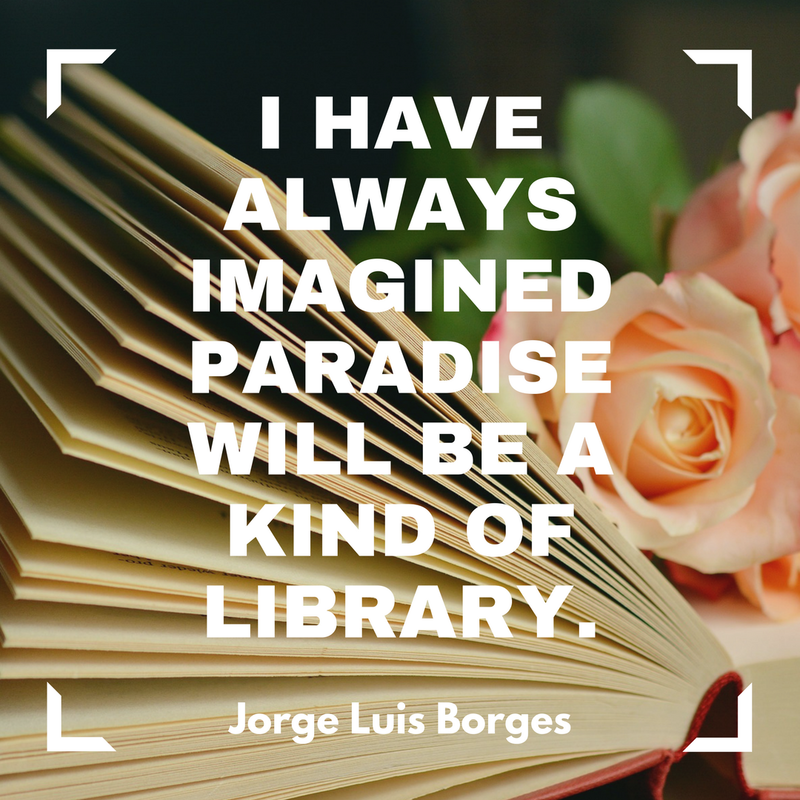 If you’re interested in reading Sugar and Snails, you can check it out at Annick Press or purchase a copy here on Amazon. While growing up in a refugee camp, Joseph only wants one thing: to ride a bike. He’s just not big enough to reach the pedals. He helps fix bikes while waiting for his legs to grow long enough to finally ride one day. Joseph doesn’t fully understand why, but he and his mother move to America where life is different from the camp. One thing is the same though: Joseph’s wish to ride a bike. When Joseph sees a neighbor girl has a bike, he tries everything he can to get to ride on it. After putting his bike repair skills to good use and helping his neighbor, his chance finally comes. Joseph gets to ride a bike! Lively, energetic illustrations pair well with the sweet story that captures a boy’s dream come true. 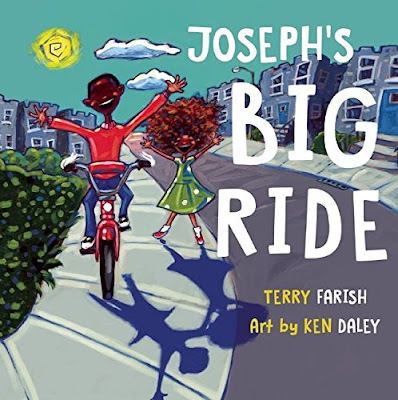 If you’re interested in reading Joseph's Big Ride, you can check it out at Annick Press or purchase a copy here on Amazon. A boy walking through the subway with his mom hears music and wants to stop to listen. The music soars and swoops, and the man playing the violin sways as his fingers move and his bow dances. The boy wants to listen and enjoy the music, but his mother pulls him along into the hustle and bustle of the station and their day. Later at home, the boy hears the same beautiful sounds coming from the radio and his mother realizes they should stop and enjoy the moment together. Based on the true story of Grammy winning musician Joshua Bell playing a priceless Stradivarius in the subway in Washington D.C., The Man with the Violin sends and important reminder to not be so busy and caught up in the frantic pace of life that we forget to stop and enjoy the moment. 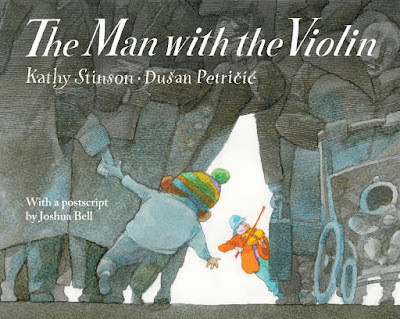 If you’re interested in reading The Man with the Violin, you can check it out at Annick Press or purchase a copy here on Amazon. Zora wants to fly. She needs to fly. She wants to prove Tully the cat wrong and get to that chittering squirrel on the fence. Despite Zora’s best efforts, she just can’t figure it out. Flapping her ears and wagging her tail? Launching off a teeter-totter? Nothing seems to work… until Tully needs help and Zora springs into action – and flight. The expressive illustrations often say as much as the text. 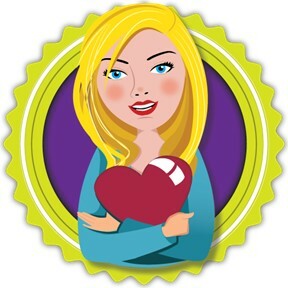 Kids will laugh out loud at the humorous story and lively pictures. 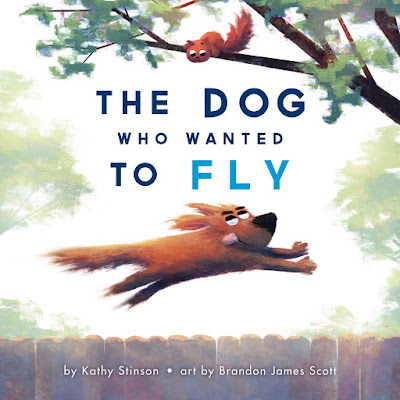 I know it’s only February, but The Dog Who Wanted to Fly may be the best children’s book of 2019! This is one of the best picture books! I highly recommend it! If you’re interested in reading The Dog Who Wanted to Fly, you can check it out at Annick Press or purchase a copy here on Amazon.